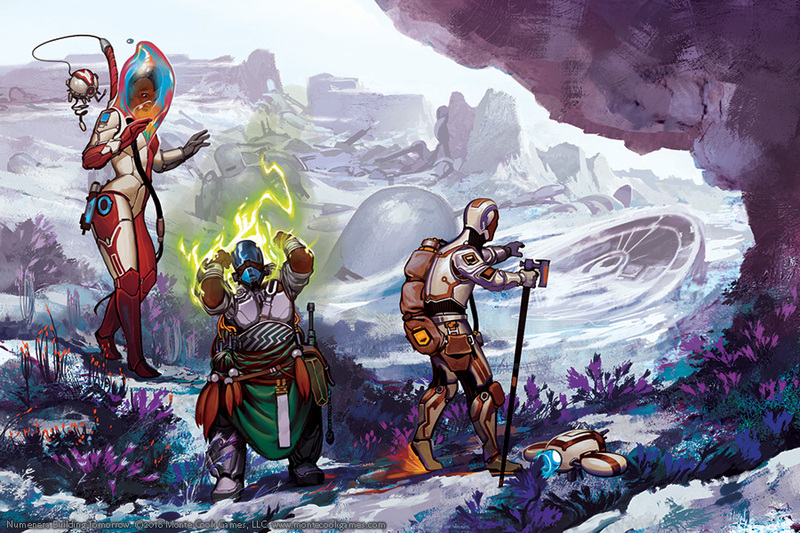 Community building isn’t just a feature of the new Numenera Destiny corebook. It’s something that happens every day, everywhere gamers gather and play games they enjoy together. One place gamers gather is their friendly local game store (FLGS)—and not coincidentally, that’s one of the places Numenera communities form. And we have a special program just for those FLGS communities: Cypher Play. Cypher Play is an adventure program that runs several times a year, usually over a six-to-twelve-week period. (The exact schedule is up to the retail store—some run sessions every week, while others spread them out with a biweekly schedule.) It consists of new, exclusive adventures written in-house by the legendary MCG design team. We send them to stores—free of charge—and you play them there. (Well, not just there. Read on.) 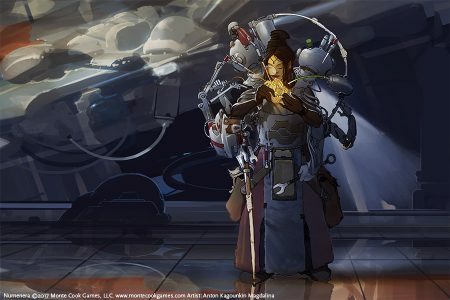 It’s an easy way to connect with your growing local Numenera community, try Numenera if you haven’t already (or, if you have, to try a type, focus, or other option you might want to explore), or just get in a little more time in the Ninth World. And it gets better: All that cool, exclusive adventure content I just mentioned? You get to take it home with you. If you run it for your home group, you even get a little reward when you return to the FLGS for the next session. That’s our clever (but not exactly subtle) way of roping you in to further building your local community—you take the adventure home and play it with your friends, and now even more Numenera players are part of the community. It’s like you’re a high-tier Arkus, only with a little less of the Iron Wind in your life. We make fun, exclusive adventures for Numenera. You play them at your FLGS. You get a free copy of the adventure. If you want to, you run it for your friends at home, and get a little reward for doing so. 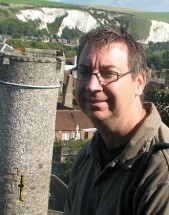 The Numenera community continues to strengthen and grow. 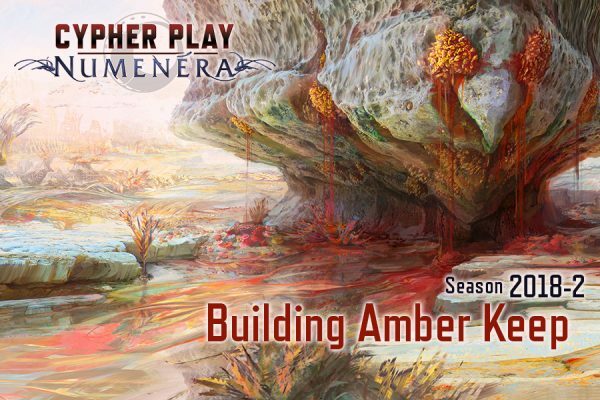 The current season of Cypher Play is Building Amber Keep, and, perhaps not surprisingly, it was specifically designed with the new corebooks in mind. Written by MCG’s Sean K Reynolds and Bruce R. Cordell, it sends the PCs into the Beyond to an Amber Gleaners waystation. But when they get there, things are not as they expect. What horrors await them? That’s what you’ll discover when you play! Check with your FLGS to see how they’ve scheduled their season. (And if they’re not running it? The most common reason game stores give for not running Cypher Play (or other RPG programs) is that they can’t find GMs—if that’s the case, maybe you know someone who would fit the bill. . .) Then join in the fun, get a free adventure for yourself, and watch your local community grow. Just keep an eye out for roving bands of margr! This entry was posted in Articles & News and tagged Cypher Play, Numenera.